When you consider that U.S. hunters spend some 35 to 40 billion dollars a year on licenses, gear, travel expenses, etc. (according to the National Shooting Sports Foundation) and generate some 12 billion annually in federal, state, and local tax revenue, it is safe to say that hunting is a very popular sport! However, judging by the number of hunting rifles sold each year, it would appear that the very large majority of these hunters use firearms to hunt their favorite game species which is certainly understandable since learning to shoot a firearm accurately definitely requires far less practice on the part of the shooter. But, if you are an avid hunter who has never experienced the close encounters required to harvest game with a bow and arrow, then you are missing out on one of the greatest thrills a hunter can experience! In fact, there is simply no other form of hunting that requires the same level of knowledge and skill from the hunter and thus provides the same rewards for having successfully harvested a game animal with a primitive weapon. Although considering the level of technology that is required to produce a modern recurve or compound bow, it hardly seems fair to call them “primitive” weapons! 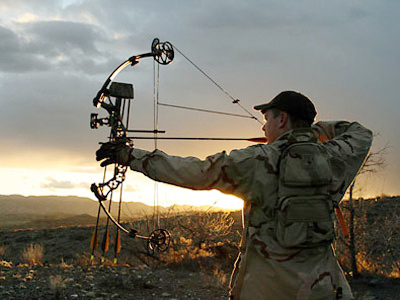 When contemplating the purchase of a hunting bow, you first need to be aware that there are two different types consisting of compound bows and recurve bows and each has its advantages and disadvantages. For instance, compound bows provide the hunter greater arrow velocity for a flatter arrow trajectory and, due to their eccentric cams, they also provide a significant decrease in the amount of draw weight a hunter has to hold at full draw but, they are also relatively heavy. Whereas, recurve bows require the hunter to hold the peak draw weight while at full draw but, they are also significantly lighter to carry and significantly quieter and smoother to shoot. However, they are significantly slower than compound bows. 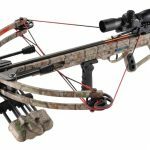 Tac X Tactical elaborate some main feature which you look at the hunting bow. Draw Length – The first thing you need to consider when purchasing a hunting bow is its draw length which is measured from the back of the riser to the valley of the string when at full draw because different archers have different length arms. 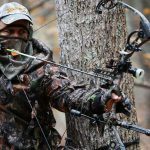 Thus, while this, not an important consideration when purchasing a recurve bow, it is of paramount importance when purchasing a compound bow. Axle-to-Axle Length – This is an important consideration when choosing a compound bow because shorter bows are less forgiving to shoot but are far more manoeuvrable when hunting from a tree stand or ground blind. Plus, they are also lighter to carry than longer bows due to their shorter risers. Traditional vs. Take-down – Recurve bows are available with either fixed limbs or removable limbs and, while there is really no difference in their performance, take-down bows are significantly easier to transport. However, despite the fact that take-down bows are by far the most popular type, some archers do not like the appearance of the limb bolts and thus, they prefer fixed limb designs. Bowtech BTX –features Bowtech’s machined aluminum CPX riser combined with their Carbon Core limbs and dual Binary Drive cam system for an IBO speed of 350 FPS. Plus, it also features their Micro Synch dial which enables the archer to fine tune the cam’s timing without the need to place the bow in a bow press. Mathews Halon – features Mathews machined aluminum Dual Bridge riser combined with wider, more torsionally rigid, quad limbs to help eliminate cam lean and Mathew’s NO CAM Crosscentric cam system for an IBO speed of 353 FPS. PSE Carbon Air – features PSE’s Monocoque True Carbon Technology riser with their exclusive Arch Bridge riser design combined with their X-Tech quad limbs and HD Hybrid Cam System for an ATA/IBO speed of 332 to 340 FPS. Martin Jaguar Elite – features a skeletal machined aluminum riser with removable recurve limbs made from a hard maple core with fiberglass laminations front and back and an AMO length of 60”. Bear Super Kodiak – features the traditional fixed-limb design with a black, phenolic plastic riser combined with Bolivian Rosewood accents and recurve limbs made from a hard maple core with black fiberglass laminates front and back and an AMO length of 60”.